Tracking attendance is one of the main reasons churches need a church management system. Having access to attendance records, and being able to clearly view data and trends is so important for church leaders. However, these are things that are done every single week. And the people actually doing this work know how important it is to have a software system that is easy-to-use, fast and powerful. At Faith Teams, we take all this into consideration. We know how important it is to your team members and volunteers, that they can easily input attendance data and easily check-in kids. Faith Teams makes it easy to input and track attendance for all your services, classes and events no matter how your church does it. 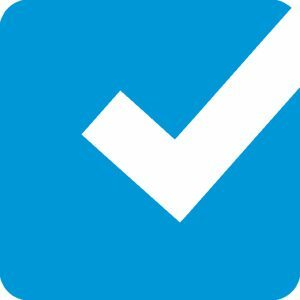 You can use a checklist to mark people as present or you can simply type in a head-count number. Over time, as you track and input attendance data, you’ll be able to visualize your data using dashboards and reports. You can also use our check-in system, which is often used in Kids Ministry areas. (Kids Check-in) You’ll be able to check kids in, print name tags for each child, and print matching pick-up tags for their parents. This helps to maximize security, and makes it easy for your team make sure each kid goes home with the right family every time : ) You can customize the labels to include the information you prefer, and even input specific info on-the-fly such as allergies, special needs, etc. Check-in stations can be operated from your laptop, and we integrate with the most popular label printers, which are very economical and easy to setup. We’re happy to walk you through the entire setup process. Check-in and attendance tracking is an important part of managing a church, and it’s simple with Faith Teams.